Audi has again teamed up with the Iron Man franchise to promote Tony Stark's latest ride in Iron Man 2 - the Audi R8 V10 Spyder. 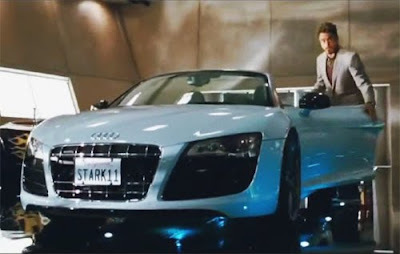 Considering the earlier Iron Man 2 trailer offered only a brief glimpse of the "Stark 11" we were more than excited to see the latest TV-Spot from Audi, promoting both the new R8 V10 Spyder and Iron Man 2. Enjoy! For more videos like this, subscribe to the QuattroholicVideos YouTube channel.